AV Wolfgang Fichtner, Hartha, Germany, sent his Christmas greetings card to me in time for the December web page. 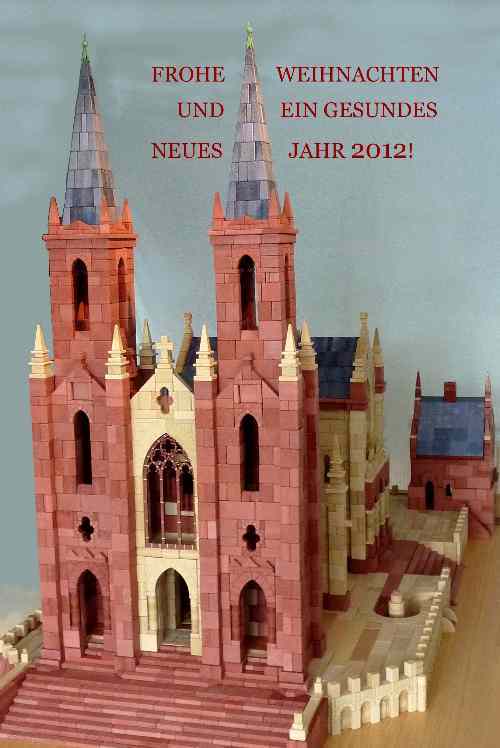 He modified the Richter cathedral from set GK-NF # 34, Lyck. It is a very attractive structure, and you will find pictures on the builder's page. For the month of December, 2012.